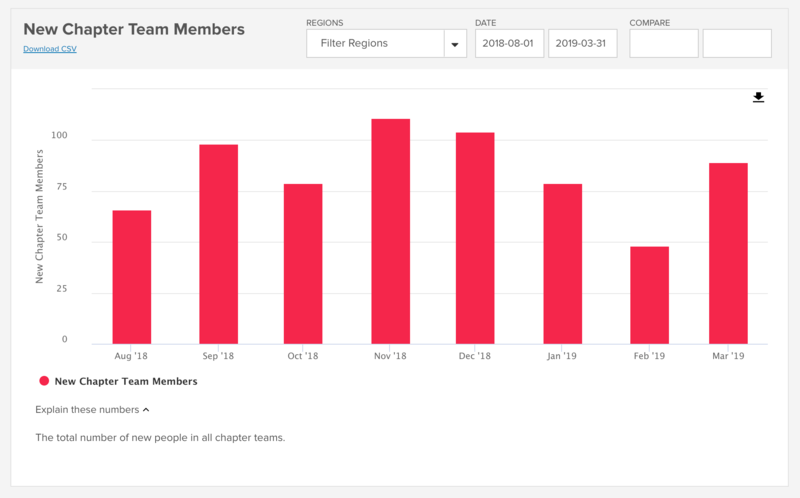 View the number of team members added to each chapter. 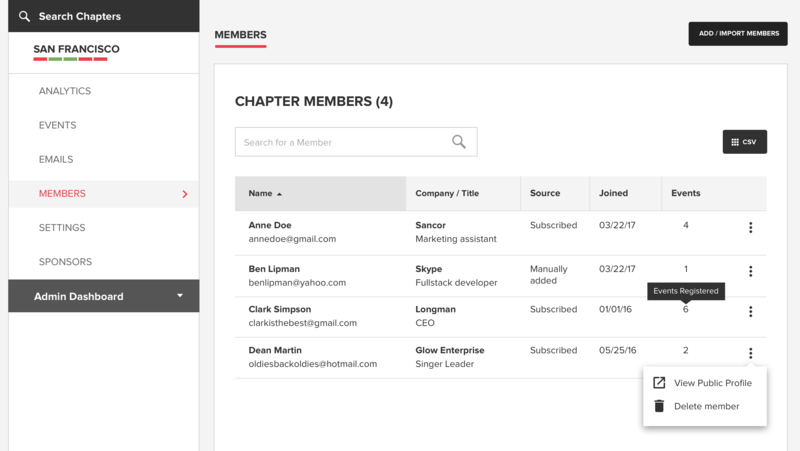 Manage your chapter members from your member list within the dashboard. 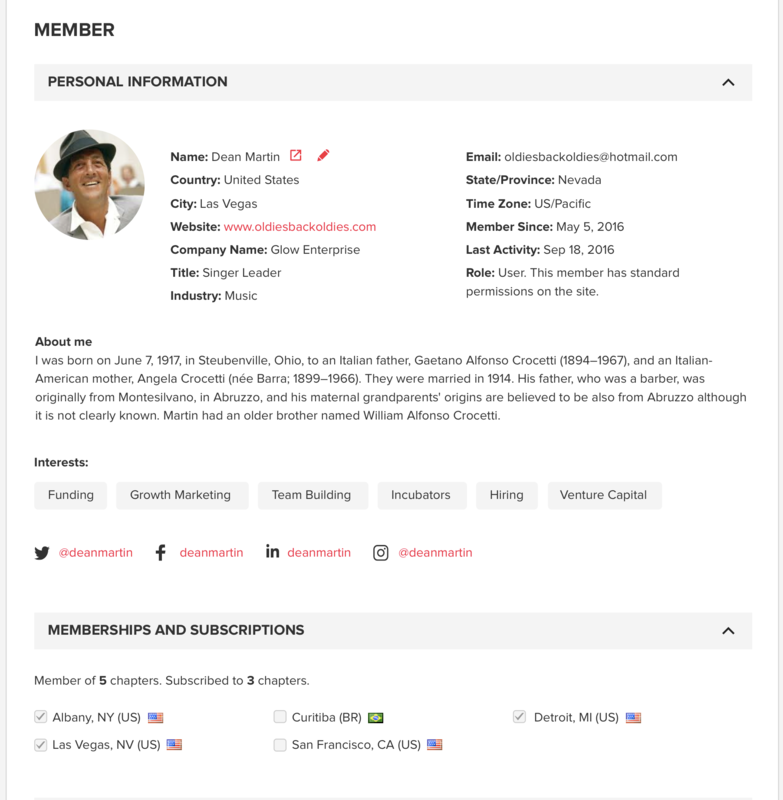 Individual users can edit their chapter memberships from the chapter pages. View chapter memberships and subscriptions for individual users. Changing a chapter title will now automatically update the chapter URL. There were some tiny errors when trying to upload photos to certain pages. All cleared :).